The cold Utah winter weather is upon us. Warming up our cars-for interior heat-is now becoming a daily routine. Do you open the overhead garage door, and start the car to let it warm up for a minute or two before driving away? “One winter morning, I warmed up my wife’s car in my garage. The garage is attached to my house, but I made sure to open the garage door. However, after only several minutes, the carbon monoxide alarm in my basement went off to alert me of the gas danger there. Although the garage door was opened, the carbon mooxide gas traveled from the open garage to my basement.” Sound familiar to you? In an attached garage, fumes can quickly spread to the house. Carbon monoxide occurs when fuel is not completely burned and consumed in the engine. Since carbon monoxide is a gas, it can travel from the engine through any air way passage-large or small. The danger to humans is that the gas travels through very small airway leaks in the engine- firewall, exhaust system, mufflers and pipes, to the passenger compartment. Warming your car up in the garage-especially in an attached garage-even with the garage door opened, does not prevent the carbon monoxide gases from traveling through to inside the home. That is the inherent danger for warming up cars in attached garages. Exposures at 100 parts per million greater can be dangerous to human health. Never run engines in a garage, even if the garage door is open. 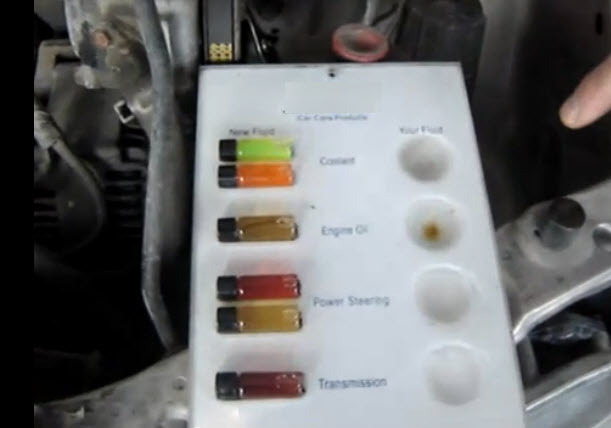 Make certain all vehicles are tuned up and running clean. Check and repair exhaust system leaks. Make certain everyone is in the car and ready to leave. Open the overhead garage door before starting the car. Start the car and immediately back out. Immediately drive away. Consult the owner’s manual for recommendations when driving with a cold engine. · Purchase UL listed carbon monoxide alarms and install them in the garage, near sleeping areas, and on every level of your home. Protect your family, and those you care for, not just by warming up the car for them, but by also being alert to carbon monoxide gas levels.